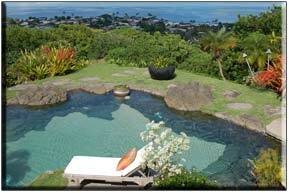 Puakahi is a private owned estate located on the windward side of O'ahu. The property has been in the Mechler family for 70 years. 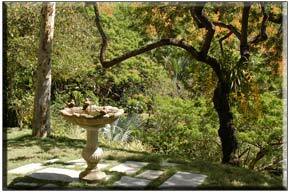 The 15-acre parcel of land was originally purchased in 1942 by Harold and Julene Mechler, and their original home was nestled at the base of the property. 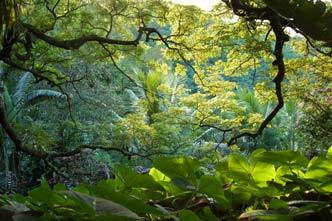 Their son Steve grew up on the property, and he and his wife Suzi acquired the top 11 acres and completed construction of Puakahi in 1996. Puakahi sits on the top of the hillside and overlooks historic Kane'ohe Bay, providing a majestic view across the Bay and towards the North Shore of O'ahu. 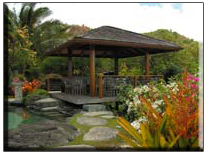 A renowned landscape architect in Hawai'i and around the Pacific Rim, Steve Mechler has developed an estate that provides many diverse environments within the property. From a rock-lined natural tropical pool and waterfall, a Balinese-style poolside gazebo, intimate tropical gardens and manicured garden paths, a water lily pond and fountain, and the epic view across the Bay, Puakahi allows the imagination to run free with its ever-changing secluded environment. 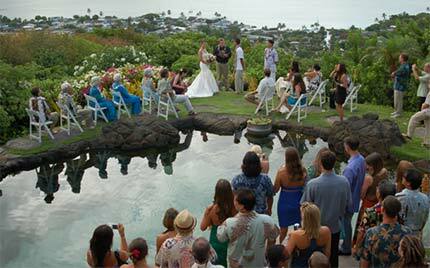 This diversity provides numerous opportunities for weddings, receptions and photographs, commercials, and corporate events. 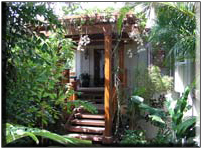 Puakahi has a gated private entrance with audio/video surveillance and private dressing rooms and bathrooms. 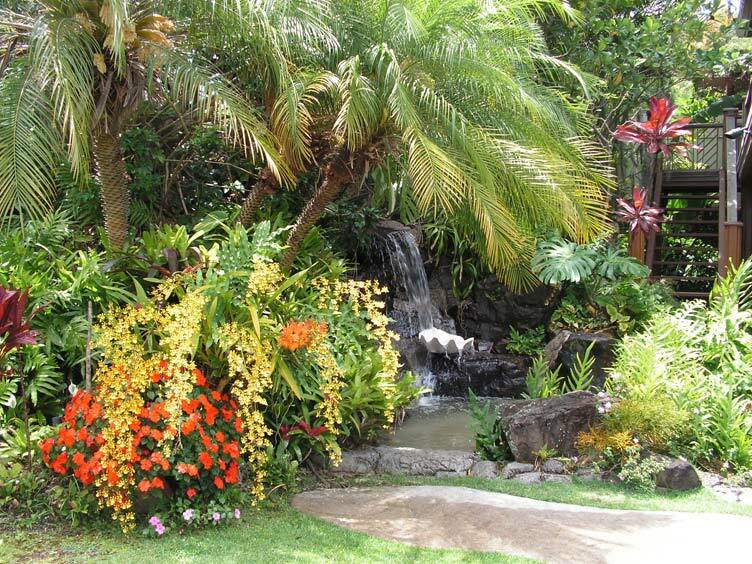 The neighboring towns of Kailua and Kane'ohe offer convenient bed & breakfast lodging, shopping mall and many retail locations and restaurants.